Our overhead garage storage in Orlando offers a great solution for organizing your long-term storage. 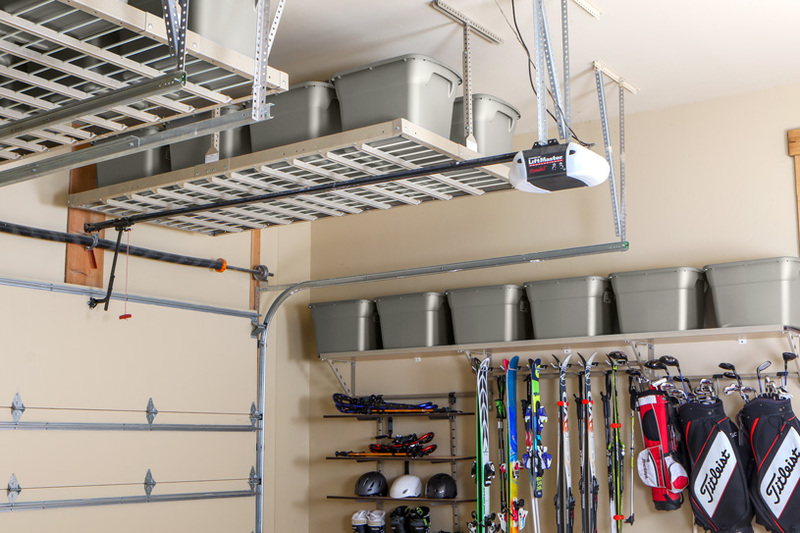 The overhead racks allow you to save a significant amount of room in your garage while permitting space for your short-term storage items. 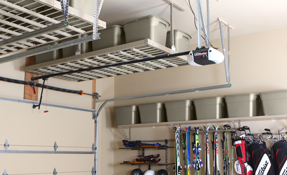 Stop overlooking the overhead space in your garage and store items using this resourceful option. One of the biggest worries with overhead storage is that items with fall. This is not a problem with our system. Our 2 inch lip actually prevents items from falling or rolling off, creating a safe space for any item to be stored. These overhead racks are built of steel to provide a secure place for your items. Storing your items in Monkey Bars state of the art overhead racks preserves from possible damages and results in a clear garage floor. You’ll no longer have to worry about room to store those holiday decorations. 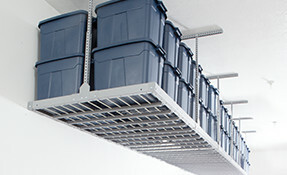 Off the Floor: Overhead storage is a great solution for a clear garage floor. This creates valuable space for your car and other items. Long-Term Storage: Our system allows you to store your long-term storage in a convenient location to be accessible when needed. Easy Access: Storing items in basements and attics makes finding them hard. 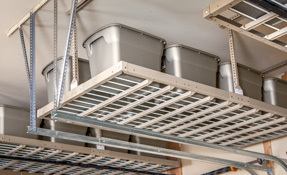 These overhead storage racks allow for easy access to these valuable items. Call us today to get the best overhead garage storage Orlando has to offer! Affordable Solution: Unlike other popular systems our system is affordable for any Orlando homeowner. Out of Sight: You will no longer be embarrassed of your storage piled where people can see it. With our overhead garage storage in Orlando you can keep your items unseen and out of the way. 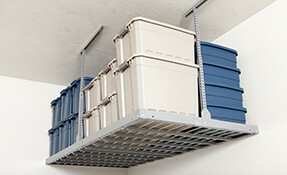 Storage Racks: Overhead storage is integrated to hold heavy long-term items. Fast Instillation: Our overhead racks will be put up in no time due to our quick and easy installation. That way, you can have the best overhead garage storage Orlando homeowners are asking about as fast as possible. Mountings: Don’t worry about items falling down. Our overhead racks are mounted to trusses in four different points, maximizing strength and security. Give us a call today and take your overhead garage storage in Orlando to the next level. 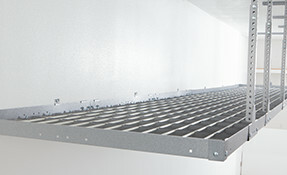 Ceiling mounted racks can be placed above garage doors.